Is crypto a secure exchange vehicle? GOLDCOIN (GLC) certainly is. The recent jump in the value of Bitcoin to well over $10,000 has provoked a lot of noise in the traditional business press about the “volatility of cryptocurrencies.” With coin collectors piling funds into them, asset managers are getting nervous. If crypto-currencies are successful, it has to be a “bubble,” it can’t possibly be because of the value and security they offer. The example of GOLDCOIN (GLC) shows that there’s no bubble in store. 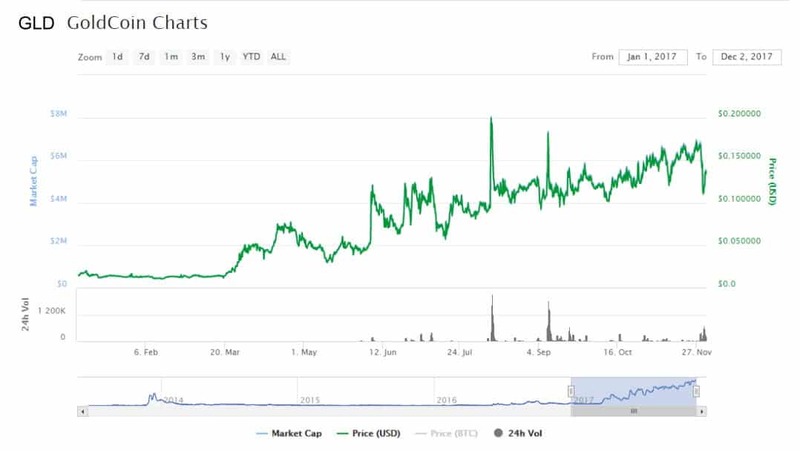 GOLDCOIN (GLC) has steadily increased in value over the past three years, to reach a high of $0.20 at the end of November 2017. This is the result of steady and increasing investor interest in the crypto-currency. GOLDCOIN (GLC) attracts investors because it offers security and value. “So it’s clearly no bubble,” comments GOLDCOIN (GLC) System Administrator Greg Matthews. What is really happening is that institutional traders are following venture capitalists into the crypto space “with massive demand,” according to hedge fund manager Ari Paul of BlockTower Capital, with $50 million in assets under management, in an interview. “Now both retail and institutional traders have begun to take crypto-currencies seriously, and the result is that we are seeing our adoption rate skyrocket,” comments Matthews. “Goldcoin has a brand that means “value” to billions of people around the globe. Once consumers discover that Goldcoin is stronger, faster, and cheaper, they will prefer it over Bitcoin. So someone interested in wealth building might speculate that once consumers discover it, its price will rise. In various polls we’ve conducted, consumers prefer the name Goldcoin over most of the other top coins,” Matthews concludes.